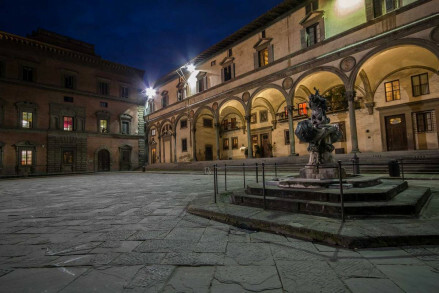 “If you want the benefit of Florence’s art treasures without the traffic and crowds, the old-fashioned, family-run The Bencistà is a good choice. 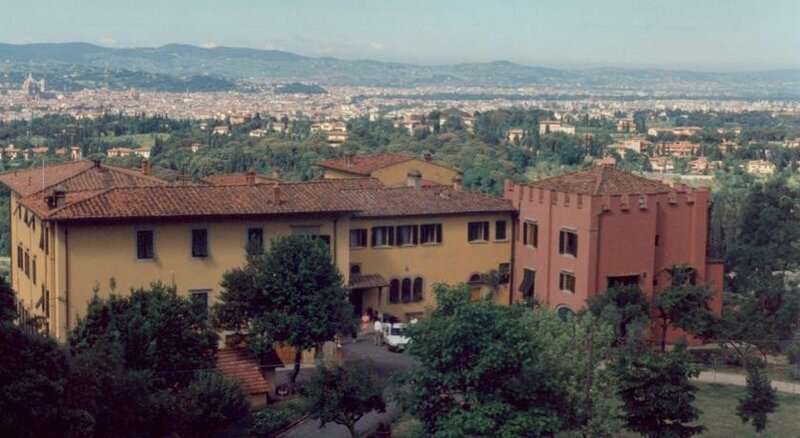 Situated just under Fiesole in beautiful terraced gardens overlooking Florence, it is filled with antiques and quirky corners. No two bedrooms are alike; try and book one with a view. A long time favourite of ours ... long may it continue in just the same vein. Stunning views, beautiful gardens and luxuries to make a beautiful and memorable stay. Perfect countryside escape for all the family. Florence is closeby. Beautiful terraced gardens overlooking Florence. Art and photography lovers will be in paradise with the jaw dropping views. Relax in the library with your favourite book. Explore the Tuscan countryside by bicycle. Arrange a picnic with the kitchen and enjoy the view. Stroll through the surrounding Tuscan olive groves. You can see it from the terrace, but be sure to go into Florence for a day of exploring the local history. Normally our guests love to stay at the Bencista because they feel at home in a charming location with a friendly and authentic Italian family. 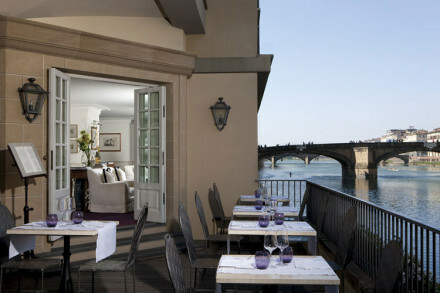 They enjoy the silence and peacefulness of our terraces overlooking Florence which often inspired and relaxed them. In Fiesole there is a wonderful roman theatre, and an archeological museum with roman and Etruscan finds. Fiesole is also really well known for trekking in fact there are lots of nice walks as well as bike paths. Not to mention the fact that Florence is very well connected with the bus nr.7 and just 20 minutes away from us. We serve a very genuine breakfast. The ingredients come from local producers and the food is freshly made by our chefs. In addition to the normal continental breakfast we serve some special Tuscan dishes for example Bread with tomatoes seasoned with our home-made extra-virgin olive oil. 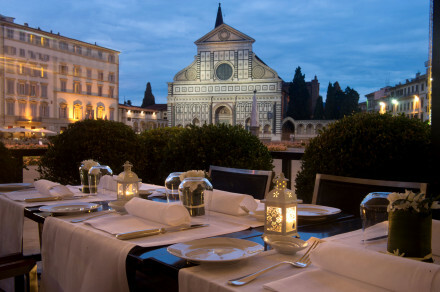 During the warm weather we serve breakfast, lunch, aperitifs and dinner on the terrace from where guests can enjoy the breathtaking view of Florence. In our Restaurant we serve a three course meal, everyday chosen according to the season products and freshly made by our chefs. We have all sorts of room types, our peculiarity is the view given by the position of the house that gives a 360° panorama on Florence and its surrounding countryside. The rooms are furnished with original furniture from different ages before 1900. Even if we are not very far from the city, our house is characterized by a special peacefulness.